Ever felt the difficulty in communicating while you visit a new place where they use a different language? We would have certainly faced this problem at least once in our lifetime. Isn’t it? And in case you are hungry, it would be irritating if you face communication barriers. But all thanks to the technology which brought a revolution in the food industry and made the things easier. Digital menu has been the buzzword which gained huge attention in the recent time. Beginning right from viewing the menu items offered by your restaurant till you receive the order on your table, digital menu plays a vital role in the whole process. It has made the restaurant tasks simplified, easier, fast, and error-free. If yours is a restaurant at a tourist spot where you receive hundreds of new customers every day, it seems such a blessing. Increased customers, increased orders, busy kitchens, and obviously double the sales! But did you realize the pain customers experience while communicating with the restaurant staff? If a UK resident visits India, it would be just a troublesome task to interact with the serving team. Right? Technology always enters our lives smartly in some or the other way, for the betterment and comfort. So, to address such issues and fill up the communication gap, an option of selecting multiple languages in a digital menu came up. Under this menu, the customer can simply select his desired nation’s language and view the menu items accordingly. Seems interesting? Exactly. This feature will be seen in real practice very soon. Hence, removing the barriers and issues faced by the visitors till date. Here are the brief highlights about in which all aspects is this feature going to benefit us. What a relief it is! 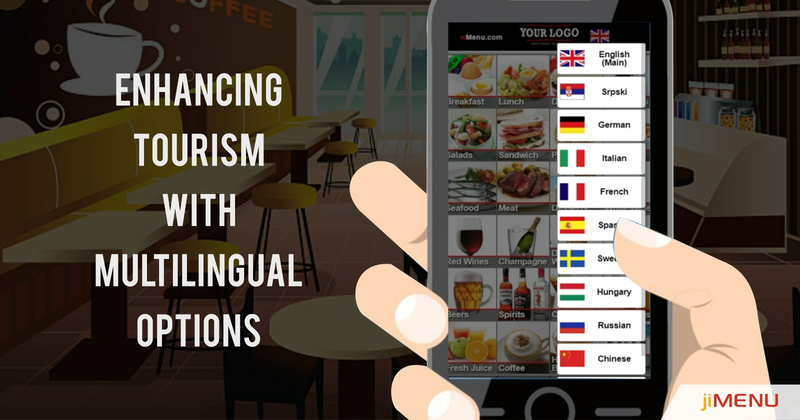 Simply select your desired language, view the foodstuff available, make your choice and then make an order to the waiter standing beside you. This all has been possible due to the digital menu updation without which it would have been a pain while making an order. Instead of translating the speech or making guesses, go for an easy platform which offers accurate outputs. Digital menu with a multi-language option will thus provide you a clear communication between the serving team and your customers by deducting the hassle created between the process. Apart from the customer ease and comfort, this feature is going to equally benefit the serving team. As the customer is made aware of the menu items available, he can get a clear view of items he is going to order. Similarly, it becomes easy for the waiter to take the order as there are cases where they face communication or accent issues while taking the orders. Receiving the bills in a language with which you are familiar seems a relief for the customers. Nobody would love complications! Easier the payment, more comfortable the customers will be. Once the customers are familiar with your framework and services offered by you, they would obviously prefer your restaurant to have their meals for the rest of their vacation. Get the best digital menu vendor who assures you the best services in your preferred budget. Good luck!